The WINIX 5500-2 Air Cleaner replaces the wildly popular 5500 model; designed for any home environment and ready to capture dust, pollen, pet dander, smoke, mold spores, VOC (volatile organic compounds) and household odors. With a CADR (Clean Air Delivery Rate) rating from AHAM (Association of Home Appliance Manufacturers), this unit is best used for medium to large living spaces, kitchens, or bedrooms. 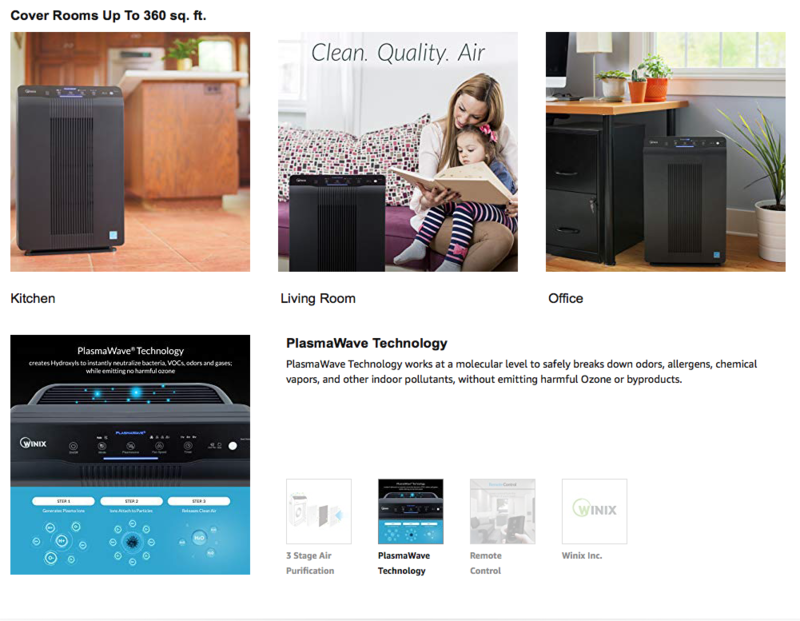 The WINIX 5500-2 uses a 3-stage air cleaning system, featuring a Washable AOC (Advanced Odor Control) Carbon Filter, 99.97 % efficient True HEPA filter and WINIX PlasmaWave technology. Features: 360 sq. 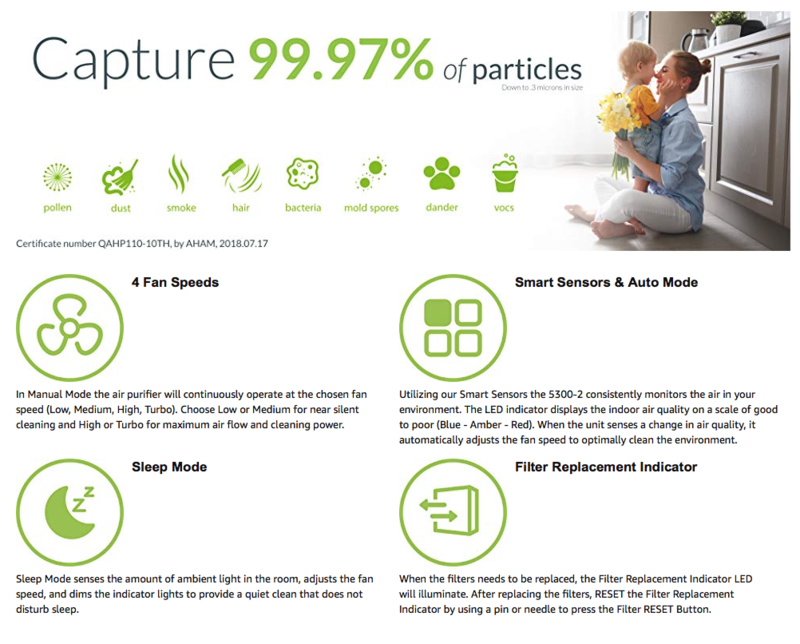 ft. room size, VOC Smart Sensor, air quality visual indicator, light sensor, auto & sleep mode, remote control, CUL Listed, AHAM CADR (Clean Air Delivery Rate) certified, CARB certified (California Air Resources Board), Energy Star certified. Wattage - 70 W.